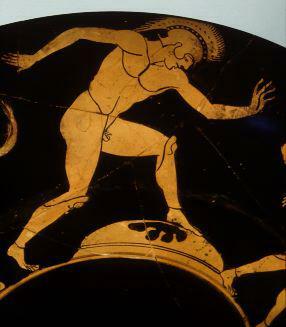 And if these races weren't enough, the Greeks had one particularly grueling event which we lack. There was also a 2 to 4-stade (384 m. to 768 m.) race by athletes in armor. 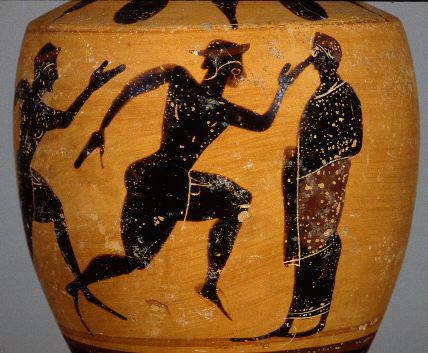 This race was especially useful in building the speed and stamina that Greek men needed during their military service. If we remember that the standard hoplite armor (helmet, shield, and greaves)weighed about 50-60 lbs, it is easy to imagine what such an event must have been like.